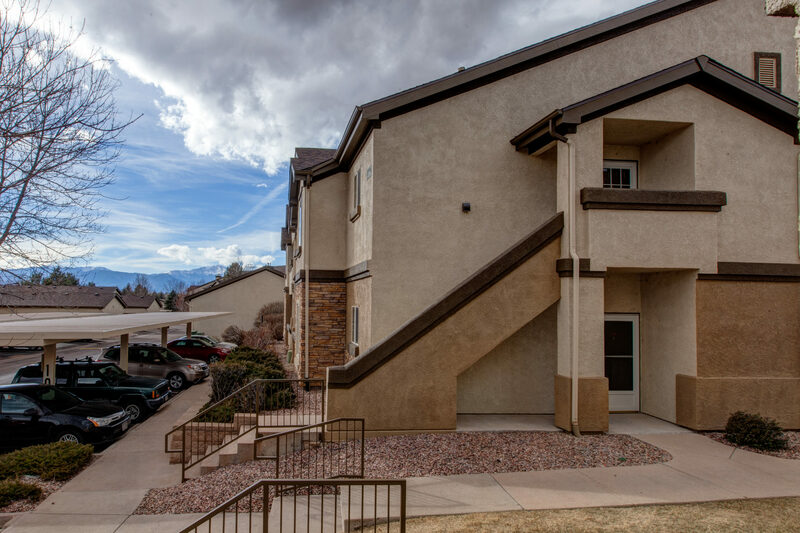 Light, bright & open end unit w/ lots of natural light, vaulted ceilings, rounded corners, arched entries from dining room & living room into the kitchen & above the counter/bar. 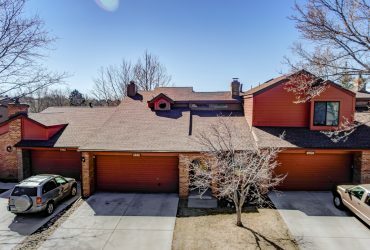 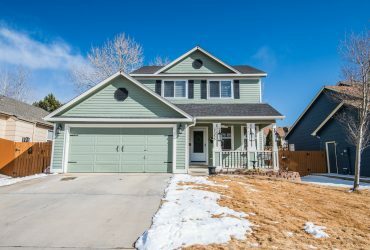 The home has large bedrooms, A/C, ceiling fans and there are sliding patio doors from the dining area & from the master bedroom out to a private covered patio with mountain views & Pikes Peak views. 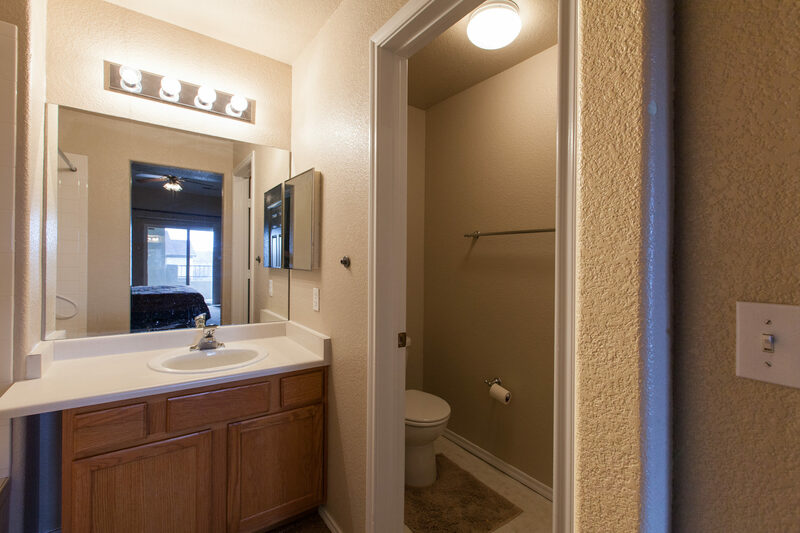 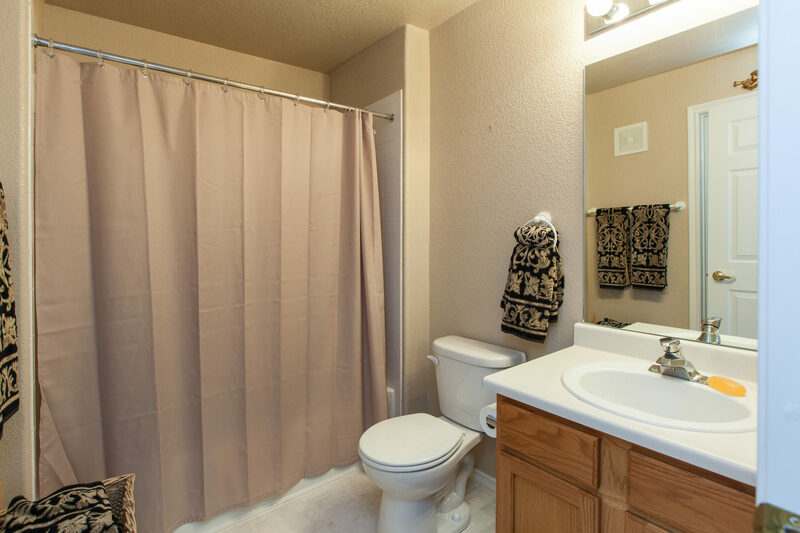 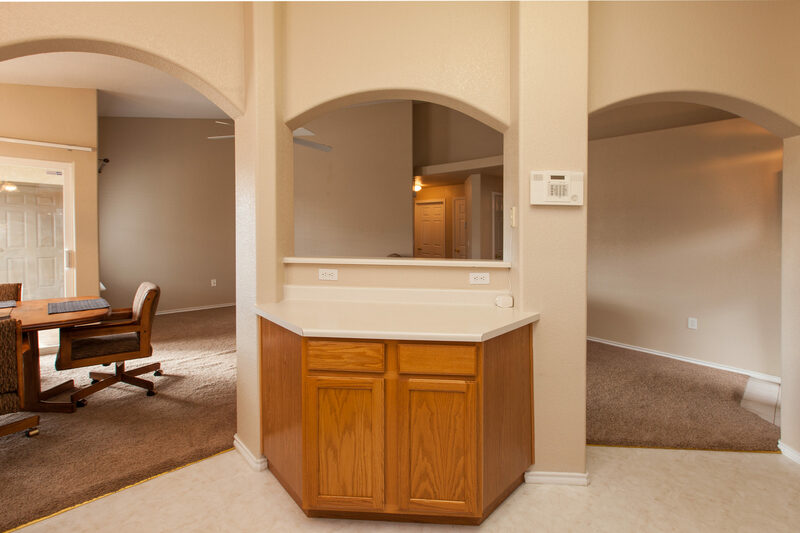 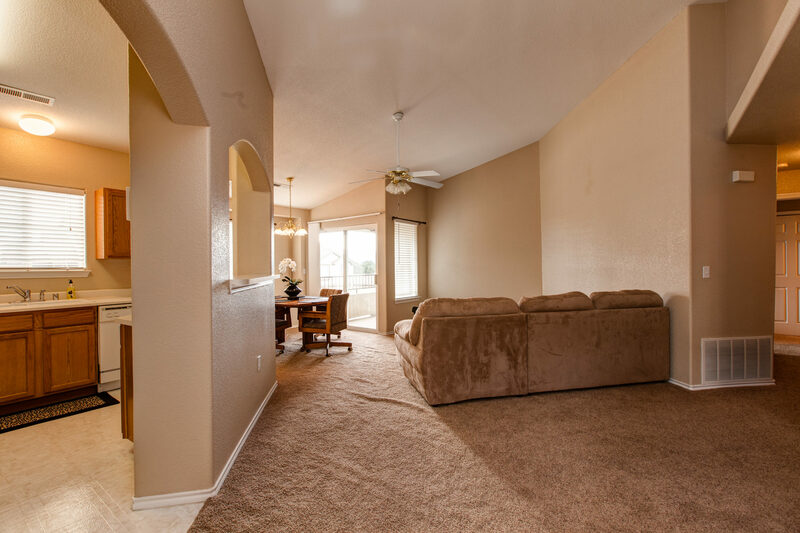 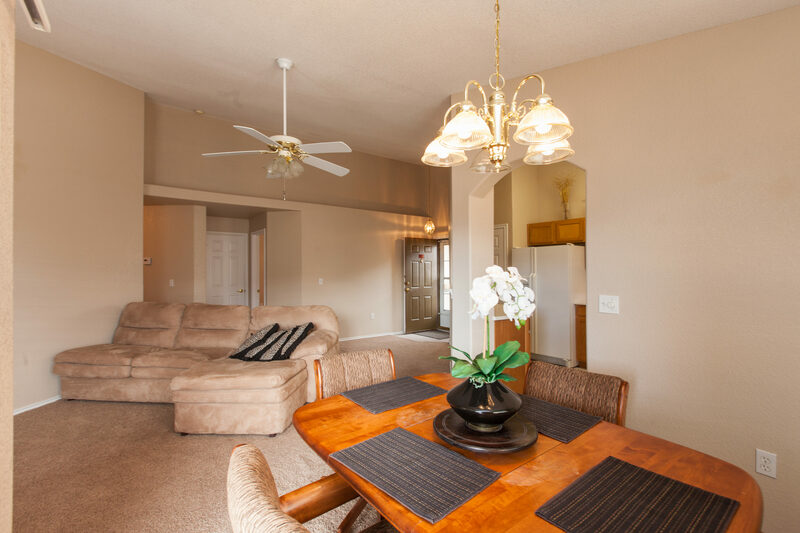 Home has two bedrooms and two full bathrooms, which allows for a dual master feel. 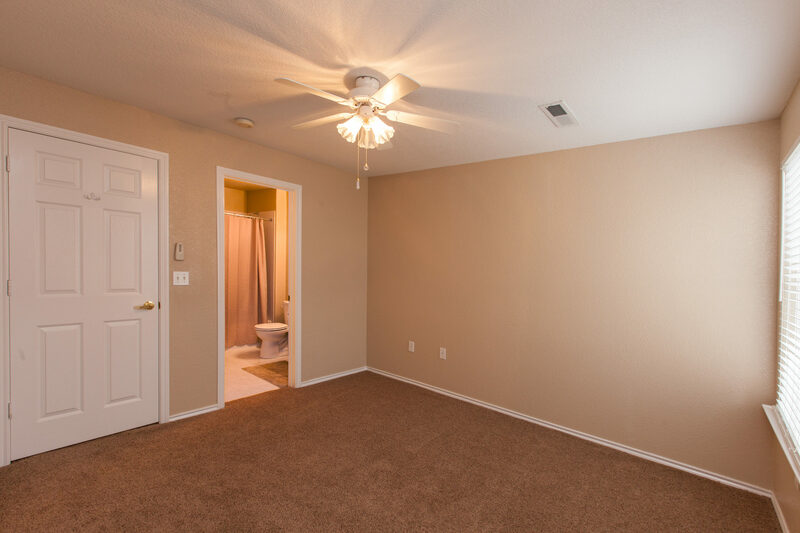 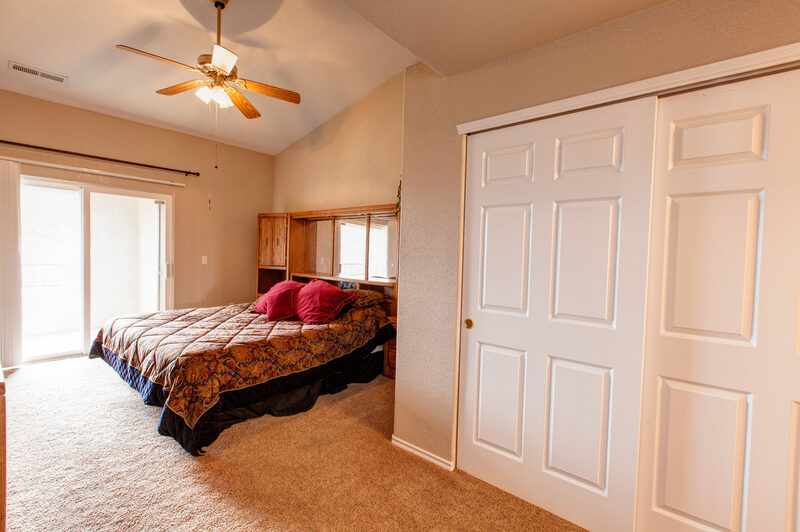 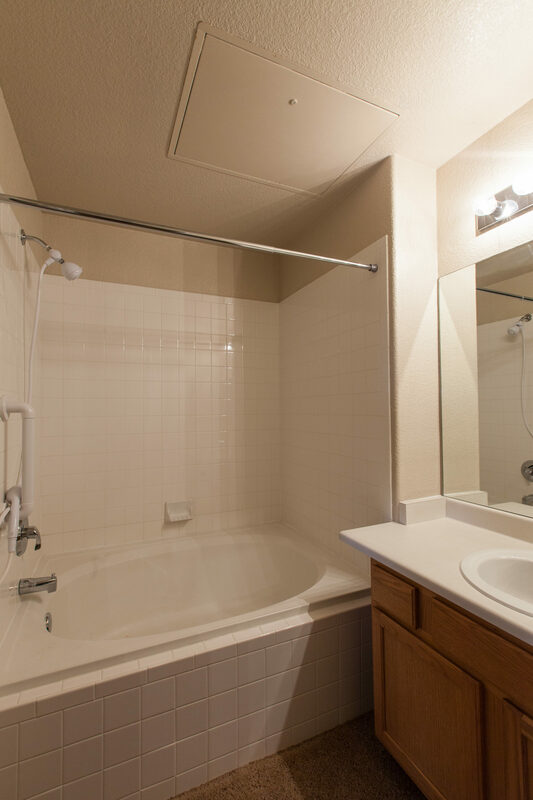 The master bedroom has private full bath w/oval soaking tub and the second bedroom has walk-in closet & the bath adjoins. 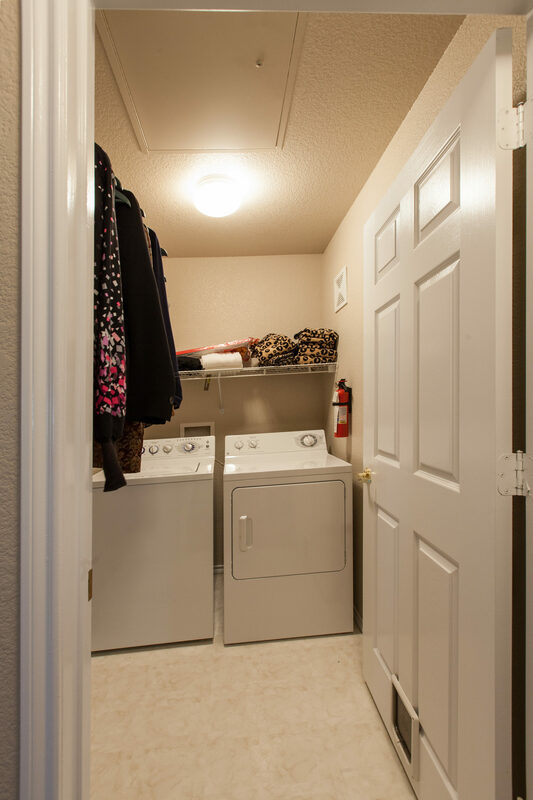 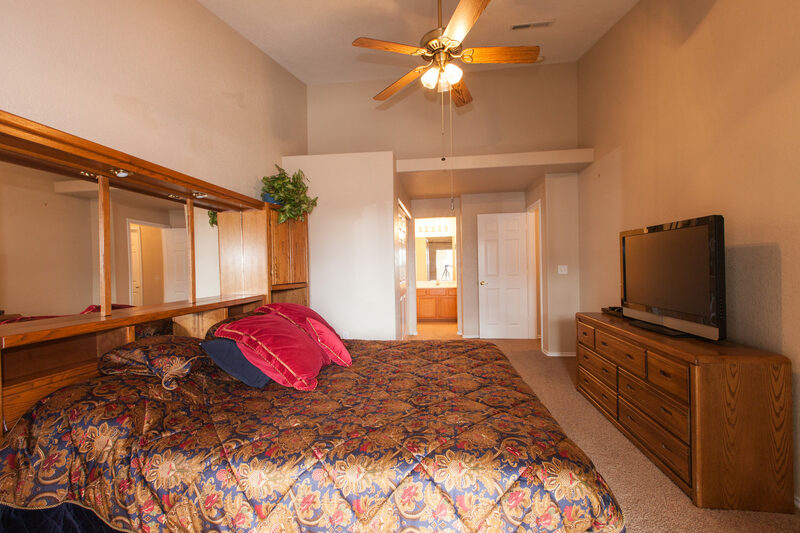 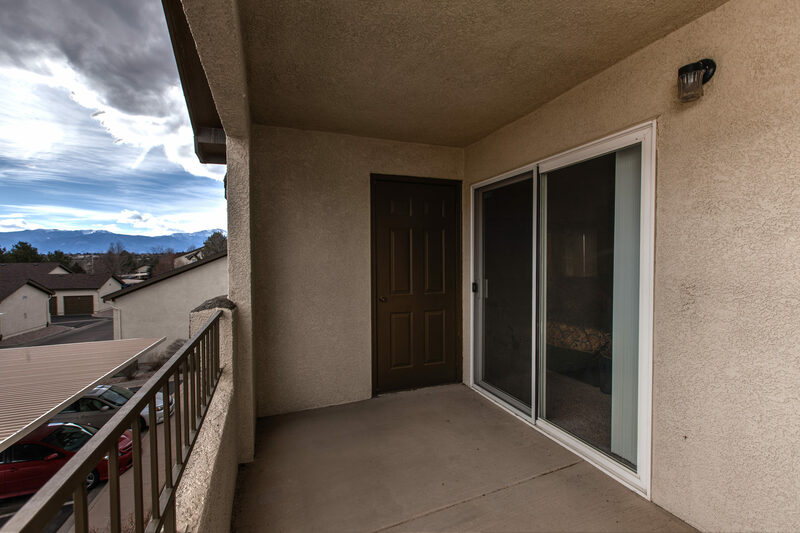 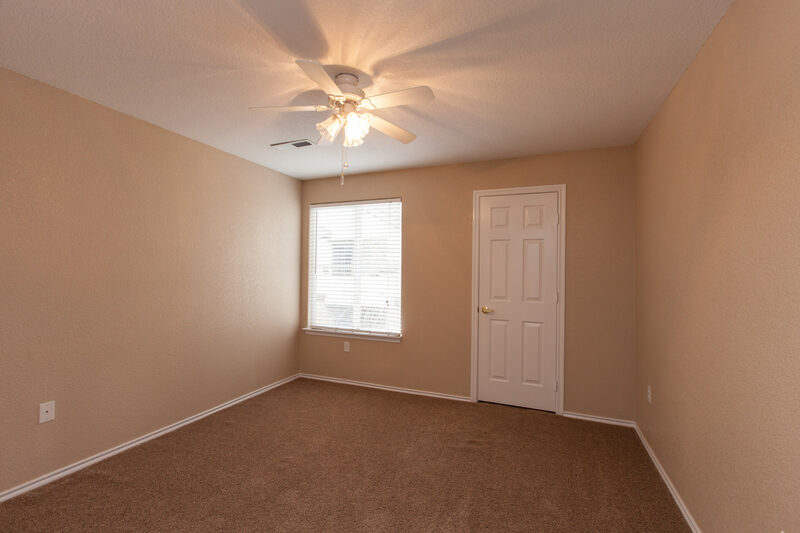 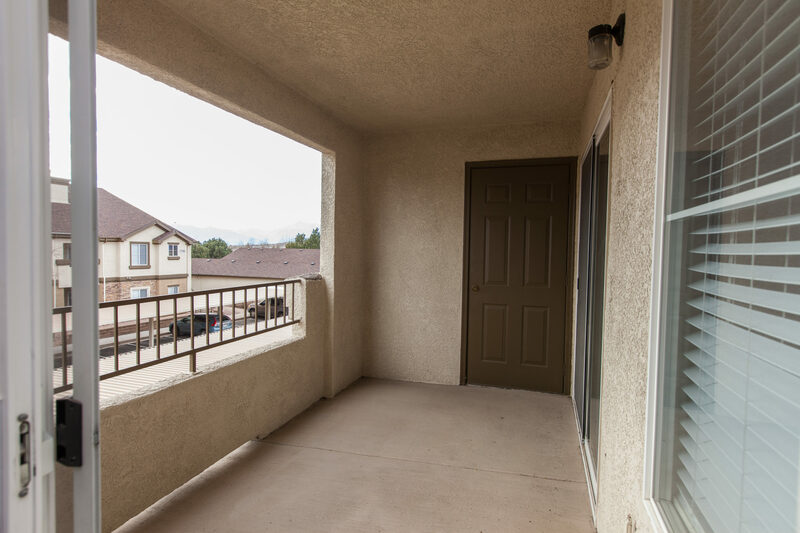 There is a designated carport parking space in front of the unit and plenty of guest parking, storage area off patio. 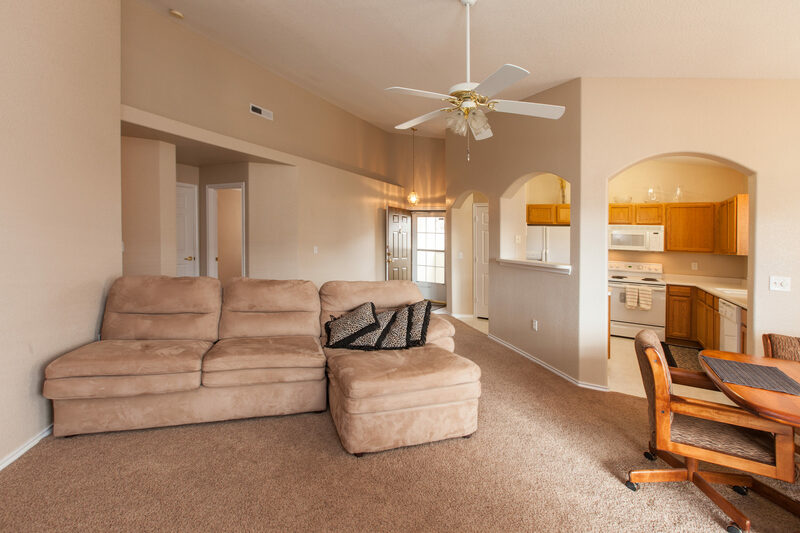 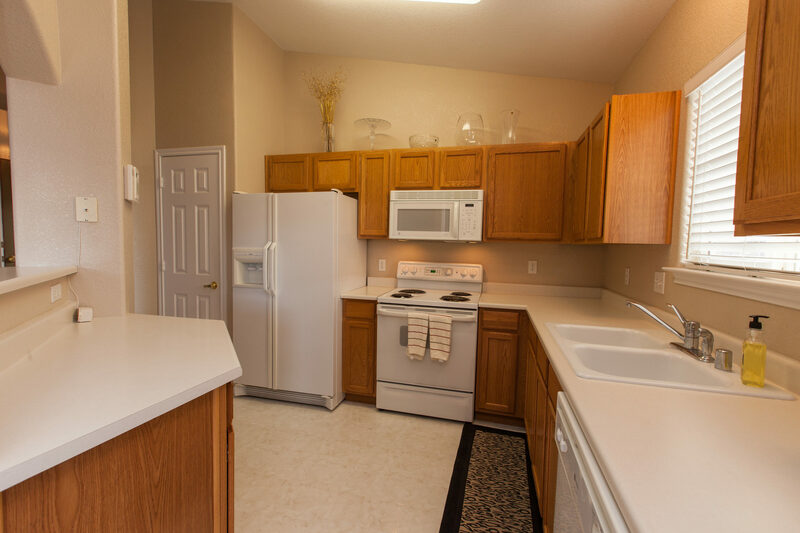 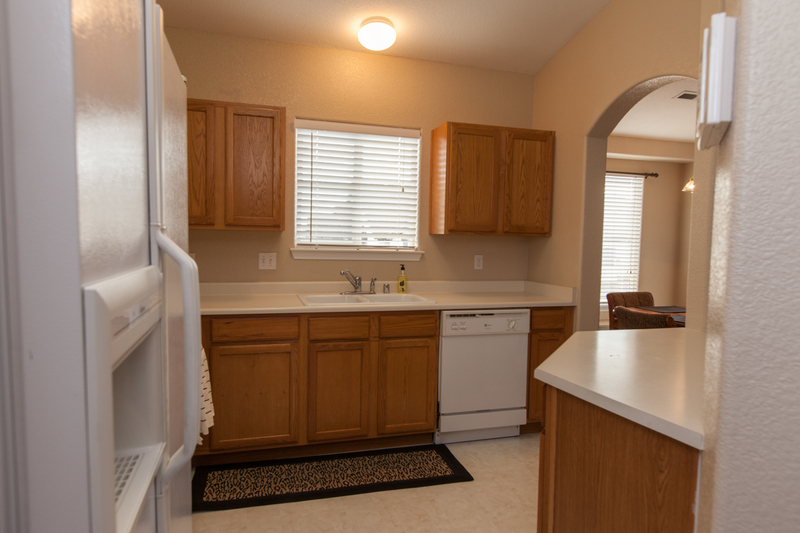 The refrigerator, range oven, microwave, dishwasher, washer, and dryer are all included. 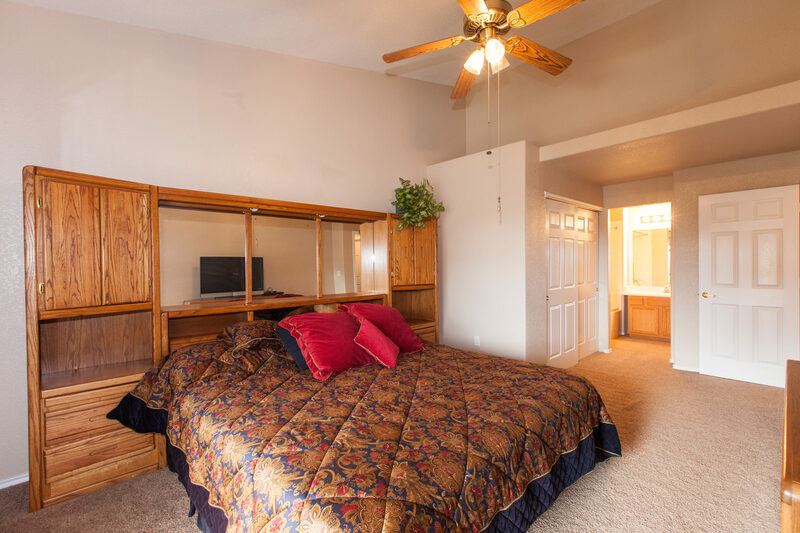 This lovely gated complex has a clubhouse w/ meeting areas, exercise room, spa & outdoor pool. 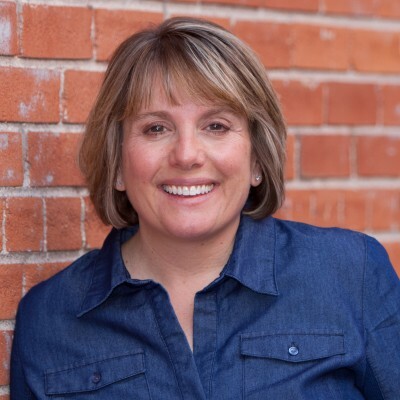 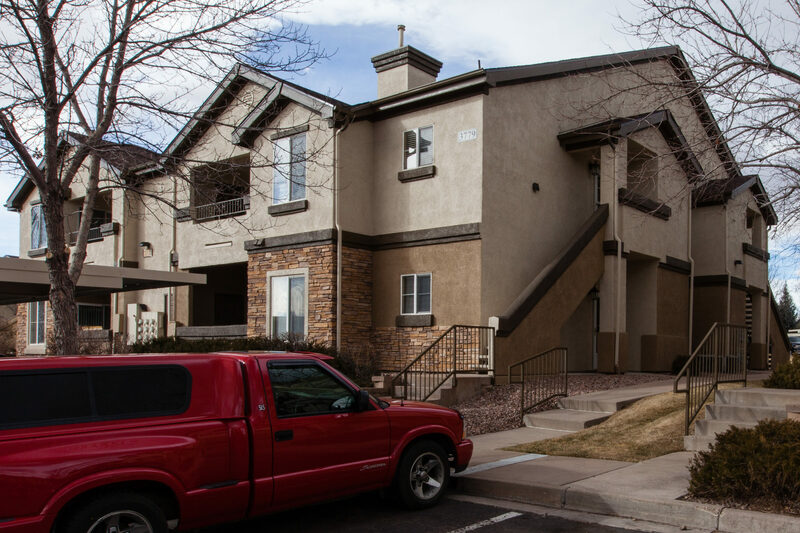 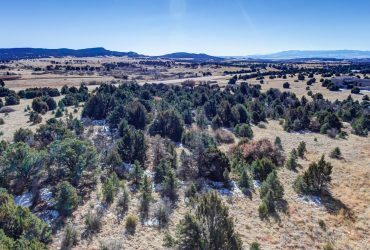 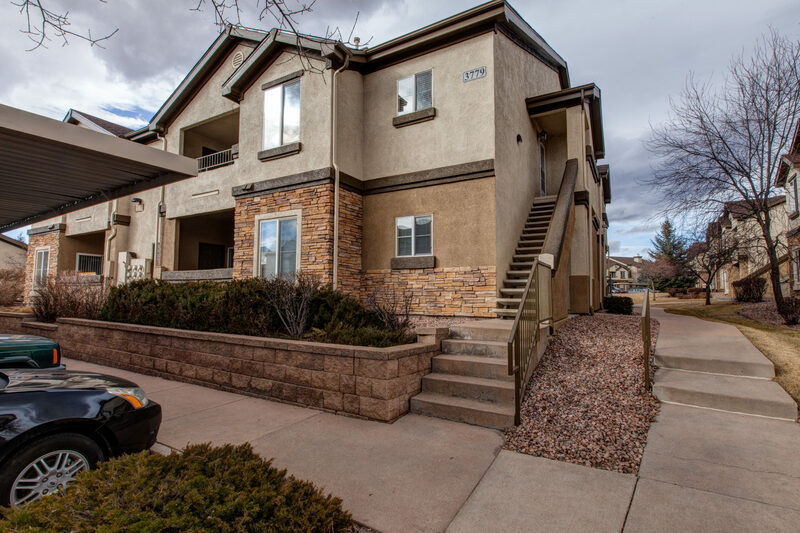 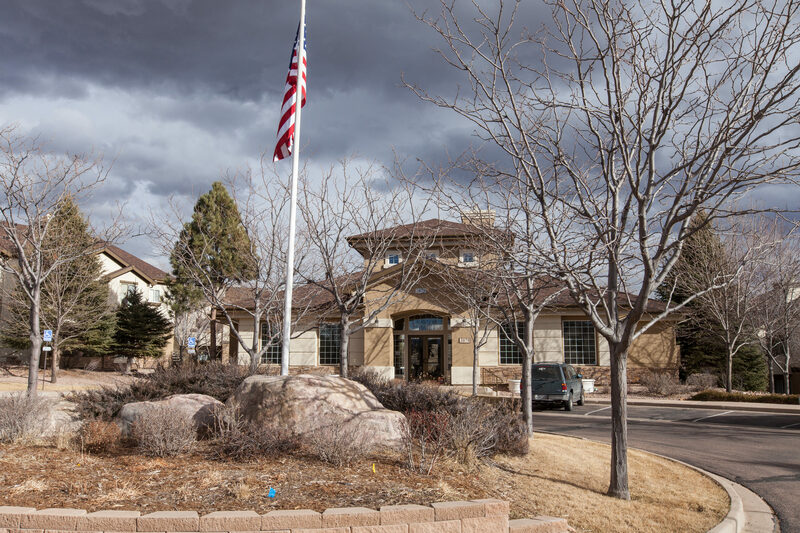 Great location across from Springs Ranch Golf Club, close to, shopping, dining and entertainment, Sky Sox Stadium, walking trails- it is all right here! 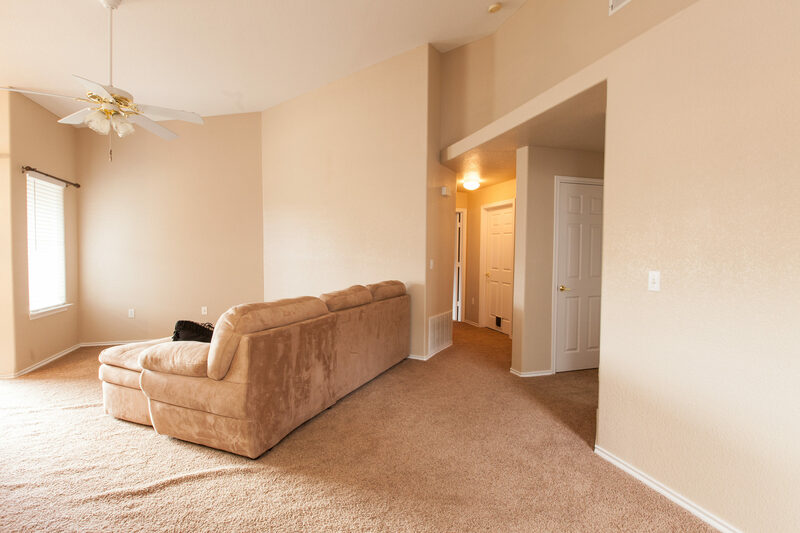 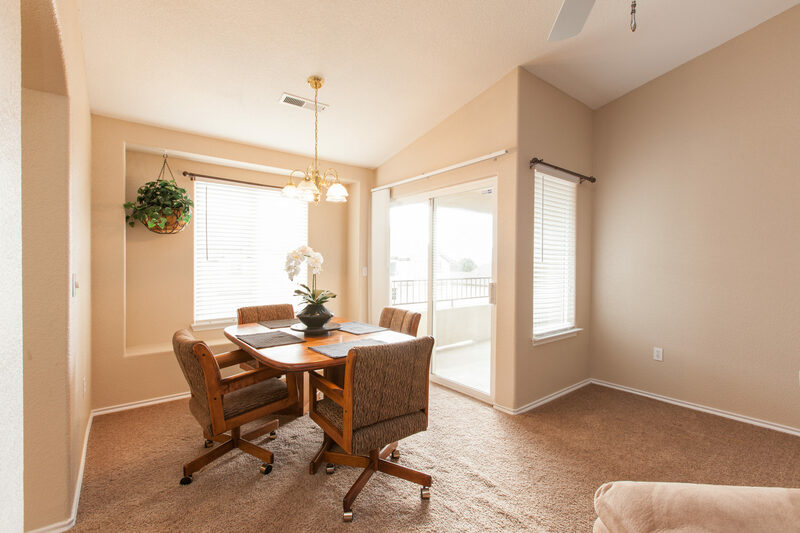 I'd like to know more about 3779 Riviera Grove, #204.